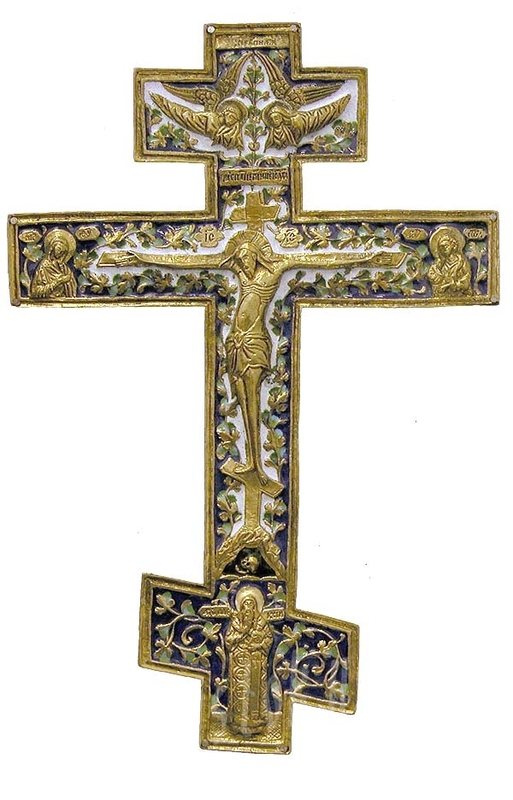 An authentic copy of a XVII century blessing cross prototype. Brass, enamel, hand-casting and hand-polishing. Size: 6.9''x10.2'' (175x260 mm). The vestments I received from Istok are very nice, I am just excited to get a new one. I need to tame my passions.